An 8-year-old Guatemalan boy who died in government custody late Christmas Eve tested positive for influenza B, although the exact cause of death is still unknown, according to the New Mexico Office of the Medical Investigator. The boy was the second child to die in a U.S. detention center this month. "Results of nasal and lung swabs have tested positive for influenza B," the Office of the Medical Investigator said in a statement released Thursday. "While this result indicates that the child had influenza, determining an accurate cause of death requires further evaluation of other laboratory specimens and interpreting the findings in the context of the symptoms and autopsy findings." 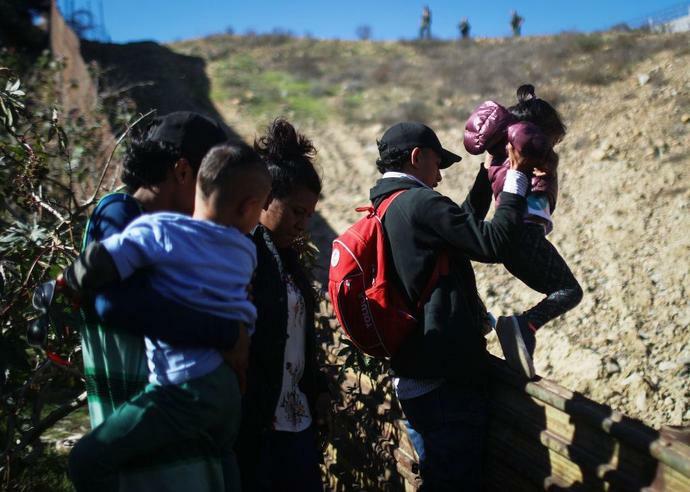 The child, Felipe Gomez Alonzo, died late Monday after being held at a Customs and Border Patrol (CBP) checkpoint for nearly two days. After showing "signs of potential illness," the child and his father were taken to the hospital. He was initially diagnosed with a cold, but was held for an additional 90 minutes and prescribed amoxicillin and ibuprofen after hospital staff determined he had a fever. Gomez Alonzo's death came less than three weeks after a 7-year old Guatemalan girl also died in CBP custody. When the child, identified as Jackeline Caal, and her father were detained at on a remote stretch of the U.S. border earlier this month she appeared to be in good health, but she had stopped breathing by the time she arrived at a Border Patrol station, according to the Department of Homeland Security. She was revived by EMTs and taken to a hospital in El Paso, Texas, where she was found to be experiencing brain swelling and liver failure. She later died. Following their deaths, the Department of Homeland Security, which oversees Customs and Border Patrol, vowed to make "hands on" changes to their policies toward immigrant children who cross into the U.S. But medical professionals familiar with CBP facilities say the new guidelines may not be enough to prevent future child deaths. In the aftermath of the fatalities, Department of Homeland Security Secretary Kirstjen Nielsen is visiting the Texas border city where Gomez Alonzo was detained with his father on Friday, according ton DHS spokeswoman Katie Waldman. Waldman says Nielsen will tour multiple stations and substations operated by CBP in El Paso. Nielsen is also scheduled to meet with emergency medical technicians and medical professionals, as well as local officials. Nielsen will then go to Yuma, Ariz., on Saturday. Nielsen has called Gomez Alonzo's death "deeply concerning and heartbreaking."